Take the first step to finding your dream bike. It doesn’t matter if you are competing at the highest level or commuting to work, superior fit is all-important and choosing the right bike size is the first step to getting your perfect ride. For specific bike models, check out Liv bikes in your region here. Sizing should be used as a reference only. The best way to determine your correct size is to head into your local authorized Liv dealer. Available sizes may vary from country to country. 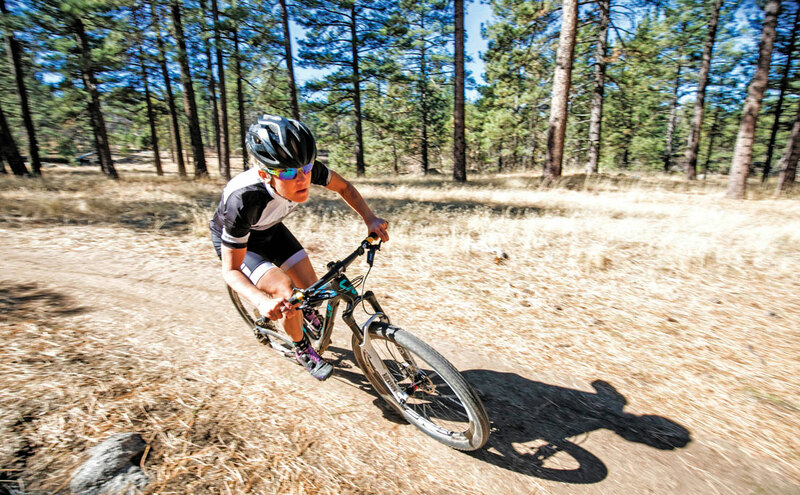 Athlete Testimonials: What Bike Size do the Pros Ride? 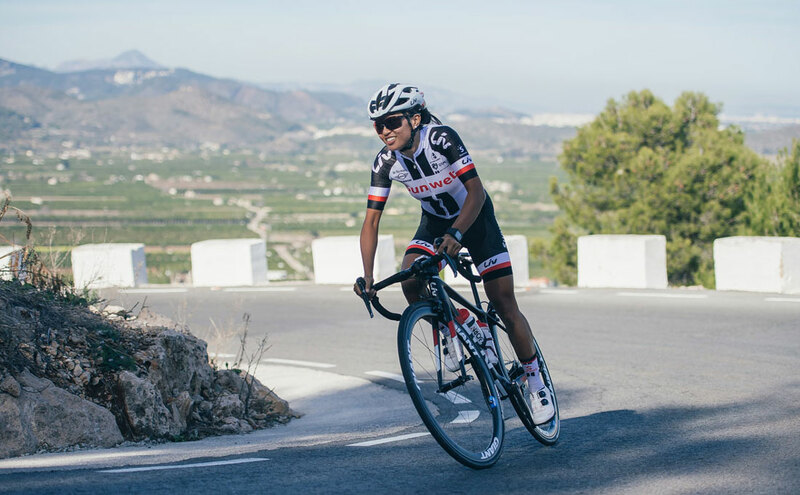 Our athletes ride Liv bikes in competition, during training, and for fun. 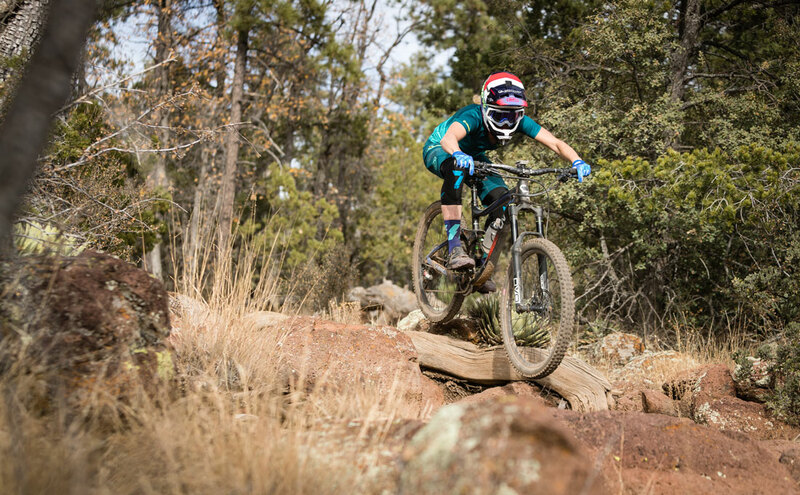 It’s their feedback after rounds of prototypes and testing that inspires the final fit adjustments to make the best bikes for female bodies. 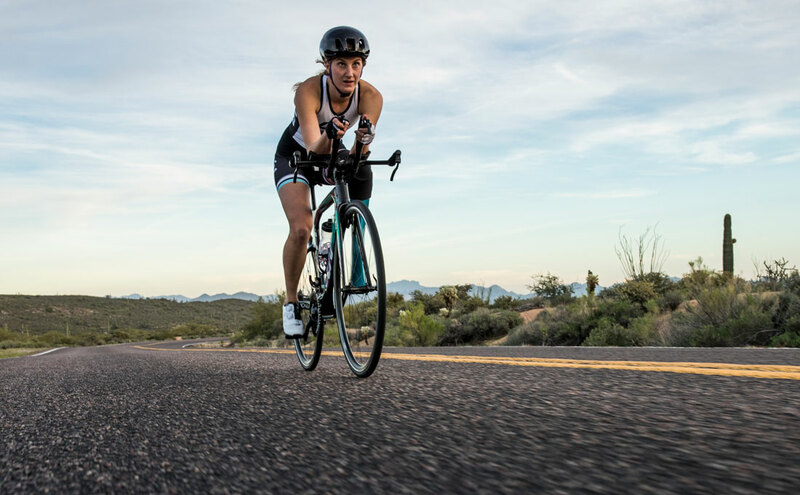 While putting Liv bikes through the paces, our athletes have the opportunity to dial in their fit and make sure they are on the right size bike. Because, when it comes down to it, it's not just your height that plays a role in what size bike you will choose. Every rider has her own unique anatomy, riding style, and personal preferences. 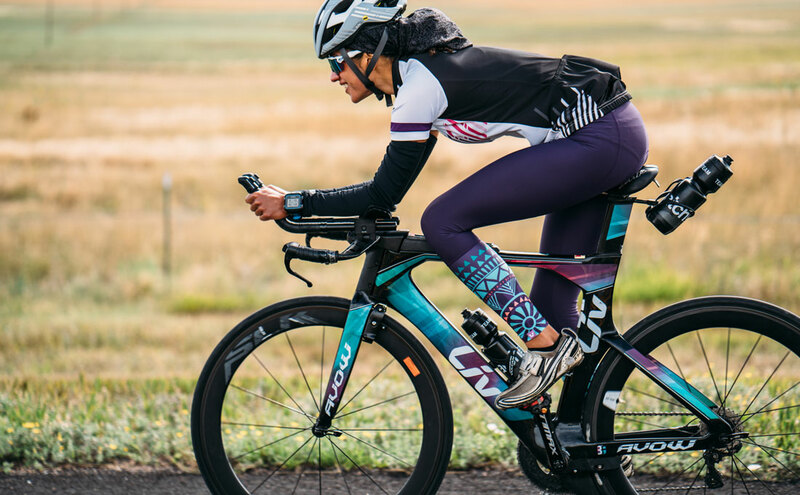 So, we've asked Liv athletes and ambassadors to share their information to help you make a more informed decision when choosing the bike size you will ride. Still, nothing compares to jumping on a bike and taking it for a test ride before your purchase. That's why we recommend visiting your local bike shop or trying a bike at a Liv bike demo event near you. After any bike purchase, a professional fit is always highly recommended. Other than changing my saddle out, I didn't need to change anything which was my first time EVER! Because it is light and nimble and VERY responsive. It just feels like it’s a part of me rather than something I’m having to try and move around! I cut my bars down to 760mm. I prefer 50mm stems on my mountain bikes, but the Liv Pique and Hail already come with a 50mm stem! I also like thin grips (especially if they are worn a bit), so I tend to put my favorites on any new bike...I think with a dialed cockpit that is almost the same from bike to bike, I am most comfortable. I love my bike(s) because they are quick, nimble playful yet predictable. I always know how they will react and respond in different situations which gives me a lot of confidence to push it to have the most fun possible. I adjusted a few things on the Hail to best fit my personal preferences. I run a shorter stem 35mm, bars are cut to 750mm, the cranks I run are 170mm, and I swapped to a larger 170mm fork. The seat I run is stock, the Liv contact SL saddle. I like this flatter saddle to allow me to scoot forwards and back during climbs and flat ground pedaling. I love my bikes for the adventure and thrills they take me on. I love the confidence and speed it inspires in me. 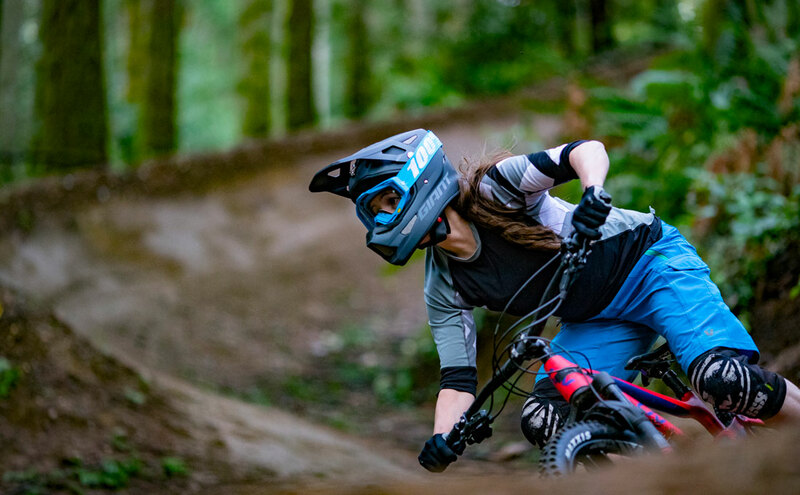 The Hail is a mini DH bike that can pedal so there is no track out of its depth and can make you feel very secure and confident as well as push your riding beyond what you would expect. Because: FIT! Most comfortable bikes I have ever ridden. When you ride a bike that fits, you forget about the bike, it is just an extension of your body, working with you to move you forward. I ride the original bike the way it came, but did have a professional bike fit to ensure I am set up with the correct seat height and cockpit adjustments. Perfect fit, function, speed... and of course just as important: it is the best looking tri bike on the market! For my Langma Advanced SL race bike, the whole bike is personalized, everything is build-up from scratch. We work with a bikefitter inside the team who created the exact set-up. I love my bikes because they put a smile on my face and make me feel free. I love going fast and I love exploring new places and new roads. I changed the saddle on my Avow to the Liv contact SLR forward. I love that my bikes are easy to handle and turn on a dime. Changed the saddle, the water bottling system, and the aero bars on my Avow to the ones that turn upwards. Longer dropper post, different saddle, and thicker grips. Last year I upgraded the rotor sizes but this year the bike came stock with 200 mm rotors in the front and 180 mm rotors in the rear, which is great! I also love that the Hail comes with 800 mm bars as well. A bike is like your best friend. 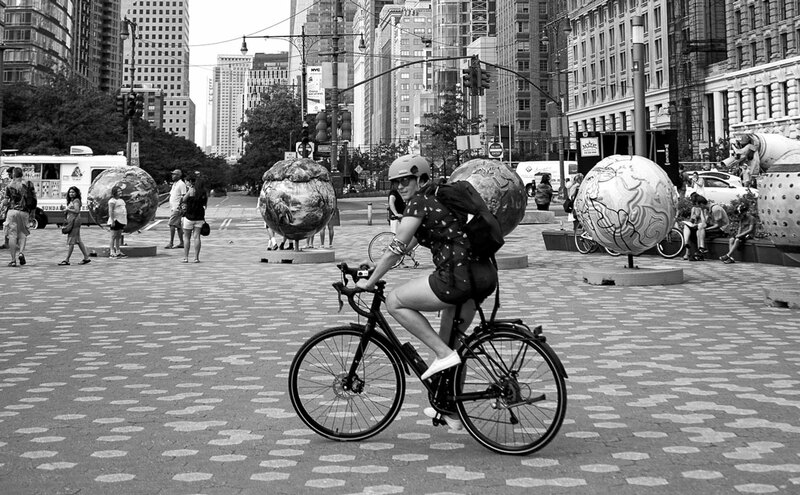 Bikes inspire you to be creative and adventurous. They teach you discipline and build strength (mentally and physically). They take you places far beyond what you thought possible. You experience the thrill of achieving goals and the disappointment of setbacks. My bike is my life.